without using the word no. Learn to say No and save yourself 6.7 hours a week. Do you know how to say no? Do you say yes to too many things? I see this happen all the time and our readers tell us the same thing. Ultimately saying yes when you don't have the time, motivation, interest or perhaps skills to do the task is a sure way to create massive stress and destroy your time management at work. Why do people say yes rather than no? I have found that most people do no know how to say no. My clients often say to me "I can't say no to my boss!" So I ask, "what is more important, being able to say no or not completing the task you said yes to? I suggest it is more dishonest to say yes, when you don't have the time to do the task, than to say yes just to please your boss. Let's look at how to say NO. First, when should you say no? You say no when the task is not connected to your KPIs. (how to agree on and document KPIs). Second, you say no when you are at capacity - that is you can just manage the work you have and no more. (Try out the know your capacity Time management activities. The only way you can get more Time is by saying No to some things you usually say yes too. You can already feel you body tense up as you read that sentence. Because, let's face it, saying a No can feel blunt, unhelpful and you probably feel you may upset the person asking. It is very rare to find people with the ability to politely and firmly say NO. There are many valid reasons for people not wanting to say NO. Unfortunately, saying yes all the time leads to poor time management and more work and more stress. "I love to be able to help. Unfortunately with the other important projects I have on I would not be able to get that done on time"
"I wouldn't be able to start that for 2 weeks, is that OK?" "Would you be able to give me a detailed document briefing me on the task and then I can see if I can fit it in." "Could you put that in writing, including the due date and key outcomes and I will review it with my boss"
"My time is fully booked. I'd be happy to do this when you let me know which other tasks don't need to be done or can be delayed"
Saying NO is about being able to keep commitments, to other people and to yourself. Keeping commitments is a key aspect of trust. Saying no builds more trust that saying yes when you can't get it done (either in time or quality). Learning how to say no is vital if you want to be able to keep your commitments. Another way to learn how to say no, according to Michael Bungay-Stainer, is to think about it as saying Yes more slowly. That's worth repeating: It's not about saying No. It's about saying Yes more slowly. What my clients have found is that when they delay the yes, as much as 50% of the requests disappear. Here are two ways to say Yes slowly. Set do not commit time - make a promise to yourself that you will take at least X time (e.g. 5 mins or 24 hours) before saying yes. Ask at least three questions, slowly, and listen to the answers carefully. Here are some you might try. "Sounds interesting, what outcome are you looking for exactly?" "May I ask what benefits we will get from completing this task?" "When does this need to be completed?" Roger Smith, a client of mine (not his real name), tried the methods below and in one day he was able to reduce his workload for the week by at least 6 hours and 45 minutes. Now it is your turn. What is one task you have on your list that you would like to say no to? Plan how to say No to this situation. Literally write out the strategy and the phrase you will use. Make a promise to yourself to delay saying yes -- what time delay will you use? 10 minutes. 2 hours. It's your choice. 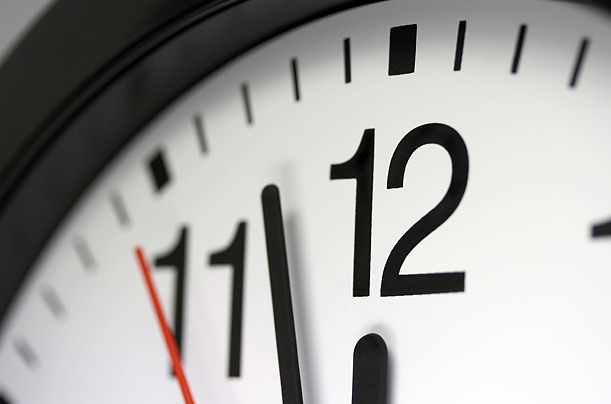 More time management strategies to save you time and reduce your stress. Time Management Systems -- An overview of leading time management systems. Goal Setting and Time Management -- Goal setting is a very important time management strategy. Time management tips and tools to help you get control of your time. 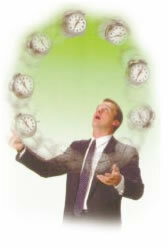 Time Management in the Workplace -- How to find time and reduce stress at work. Time Management Books -- Reviews of leading time management. Top of how to say no.